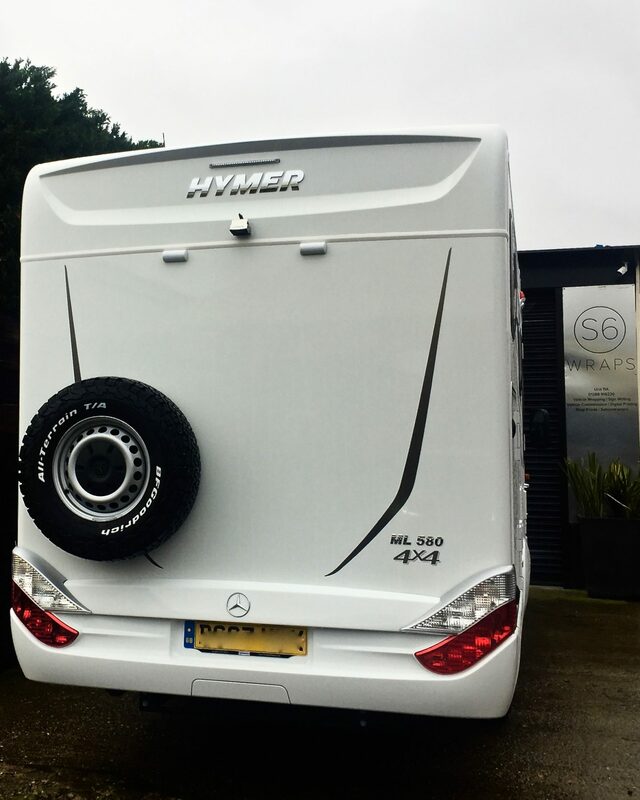 Our Hymer Motorhome customisation started even before we’d placed our order for our Hymer motorhome. 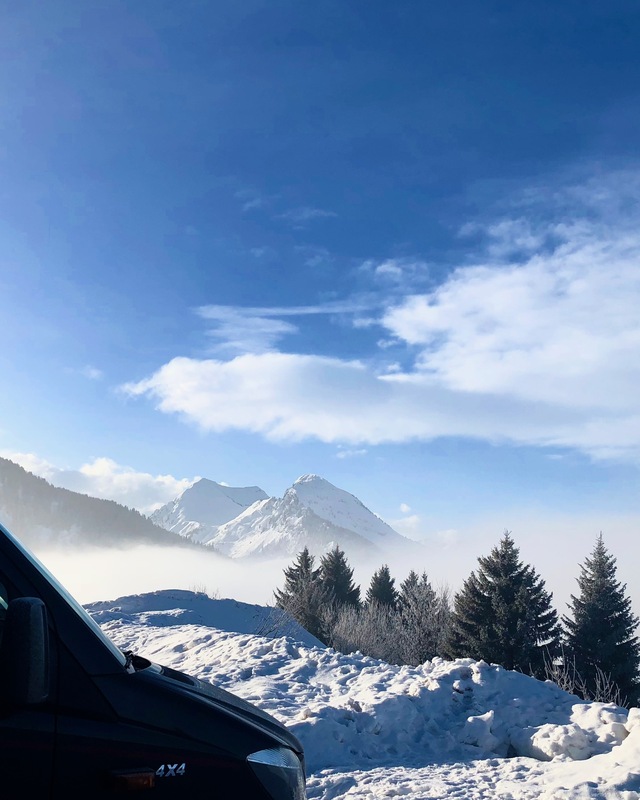 After many great times and summer adventures in our VW Transporter self-converted custom-camper we wanted to extend our camper adventures to winter. 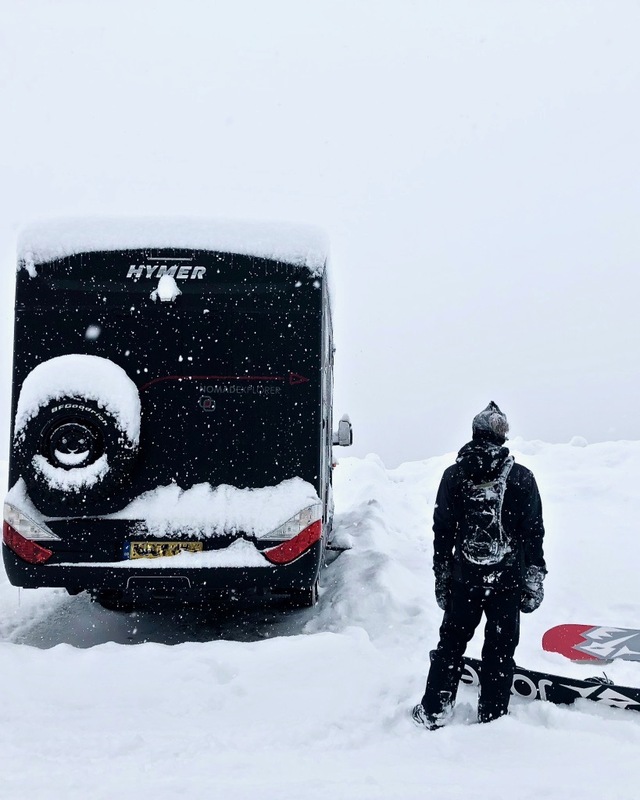 Buying a ‘winterised’ Motorhome was a reasonably straight forward decision and a custom specification of the Hymer MLT 4×4 ticked most of our boxes. 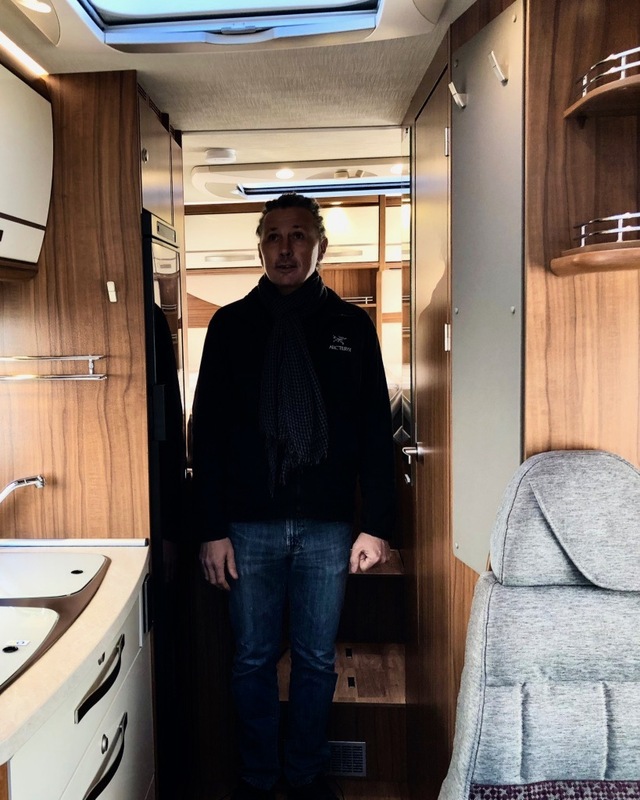 However, no offence Hymer, Hymer owners and all caravan and motorhome owners, the various ‘beige’ interiors within the white boxes really do not excite us. 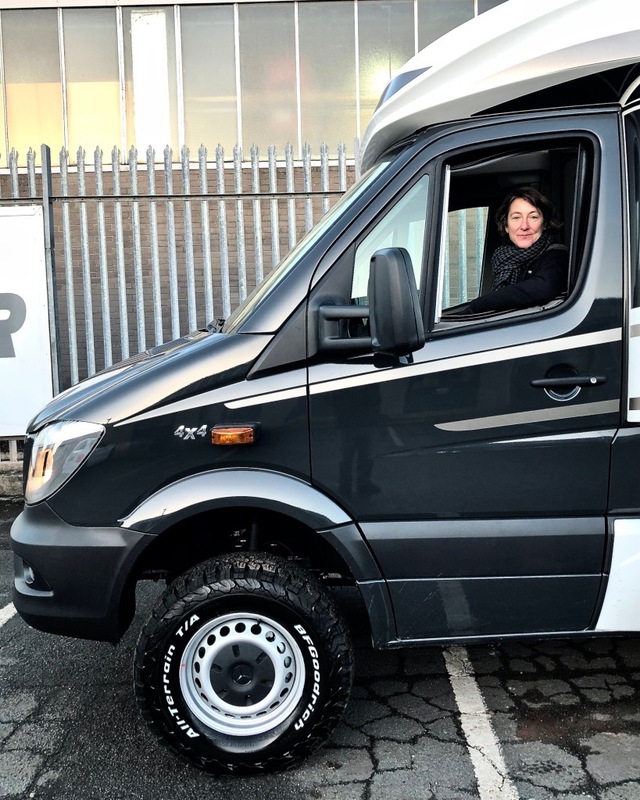 We needed to find a way to customise the motorhome, to reduce the white box exterior and beige interior without impacting the resale value, so ideally the customisation would be reversible. We had heard about vinyl wrapping and, after several fascinating visits to vehicle customisation companies, we finally found S6 Wraps. 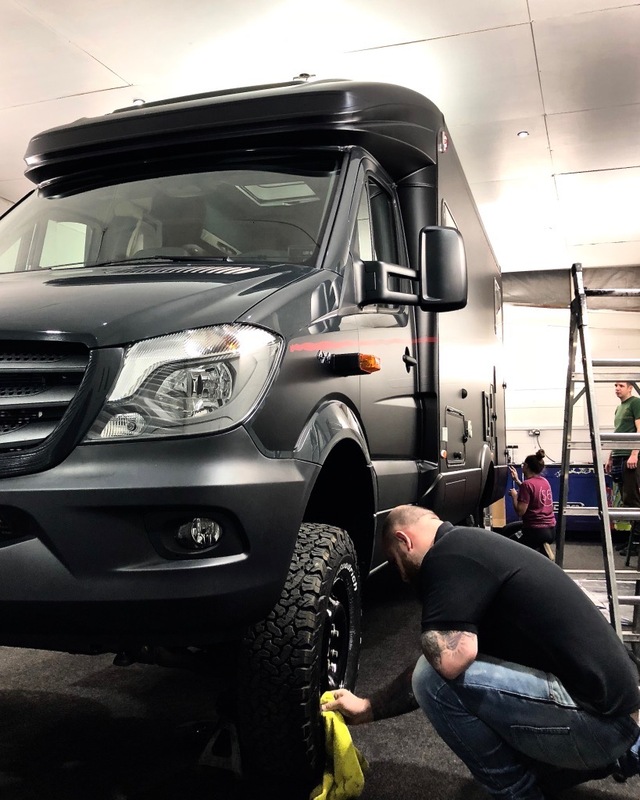 When we explained the motorhome customisation project we had for them, were as excited as we were to get started on the inside and out. 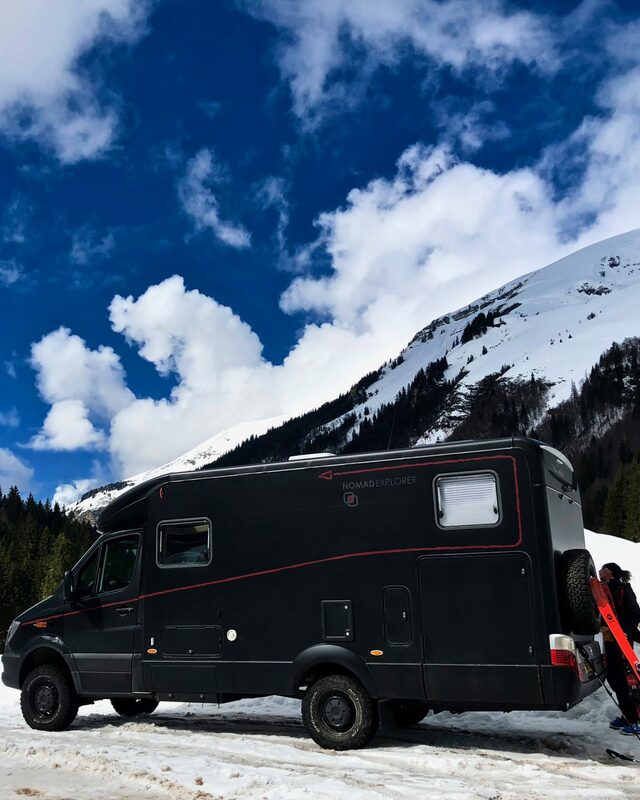 Finally our Hymer motorhome (a monster 4×4 truck) emerged, exactly what we expected but not exactly what we wanted…yet. 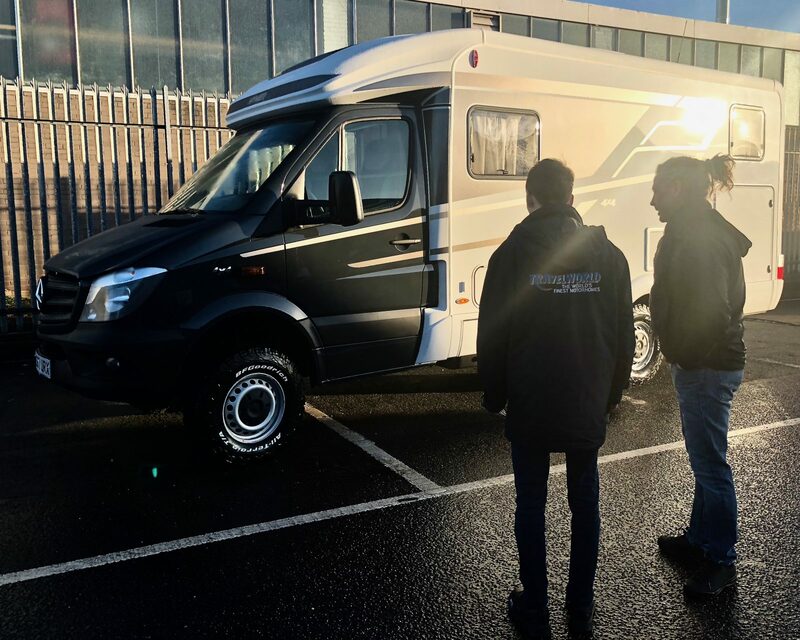 The team showing us, enthusiastically, around our new motorhome seemed surprised when we explained how much we planned to customise the motorhome appearance, inside and out. 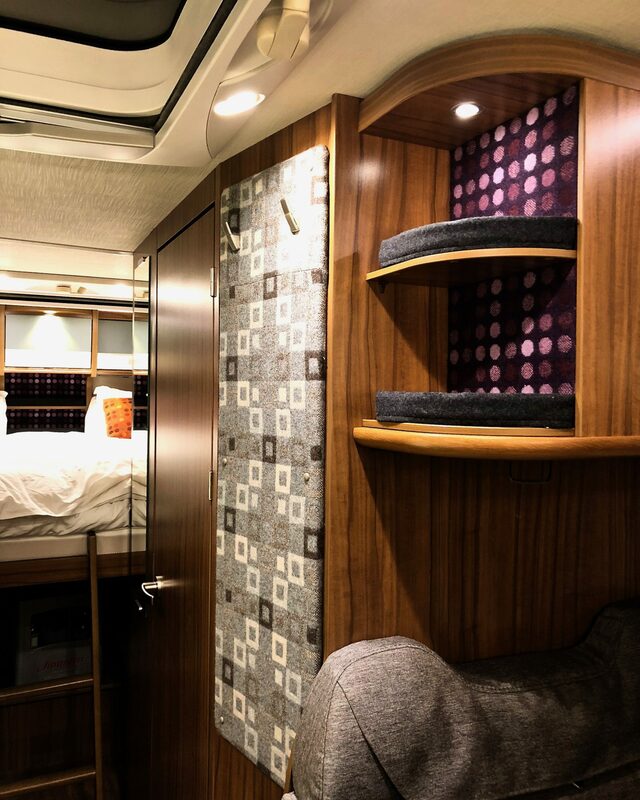 We were so pleased to finally be in our motorhome but very eager to get away and somehow reduce the beige feel of the interior. who got to work on turning our matt grey designs for the exterior graphics into reality. 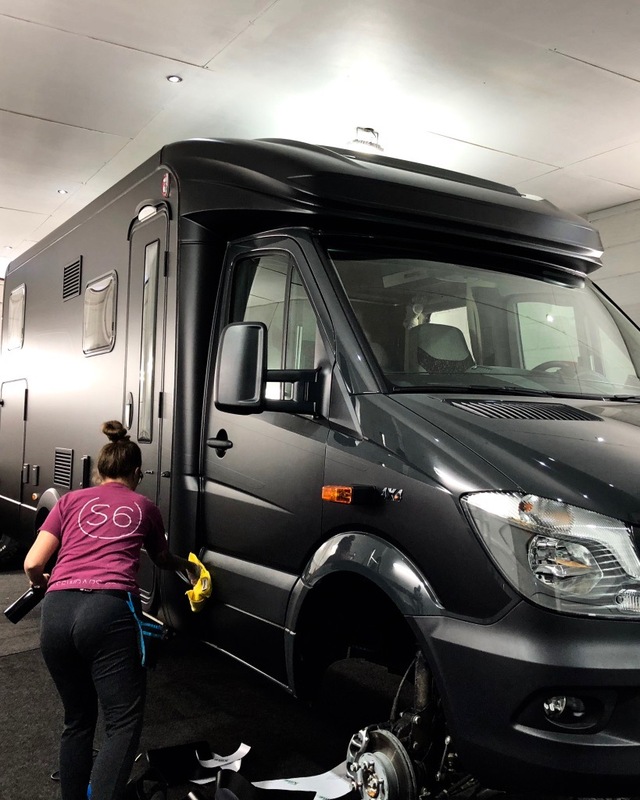 We had the steel wheels removed and sprayed black to complete the customisation..
Once S6wraps had finished their work, with attention to detail to every line on the cab and the motorhome body, we made changes to the inside to cover some of the beige with warm grey and more colourful and softer fabrics. 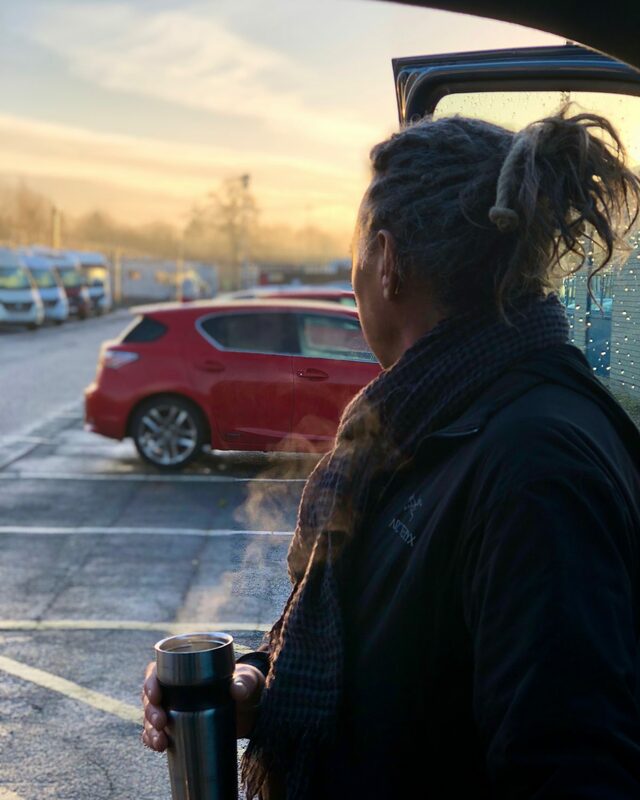 We’ve been amazingly cosy all winter thanks to the winterised options like the extra diesel heater, under-floor heating and a heated garage (essential to dry out kit each evening). and we’ve been amazed how we draw the attention of passers by in turn. 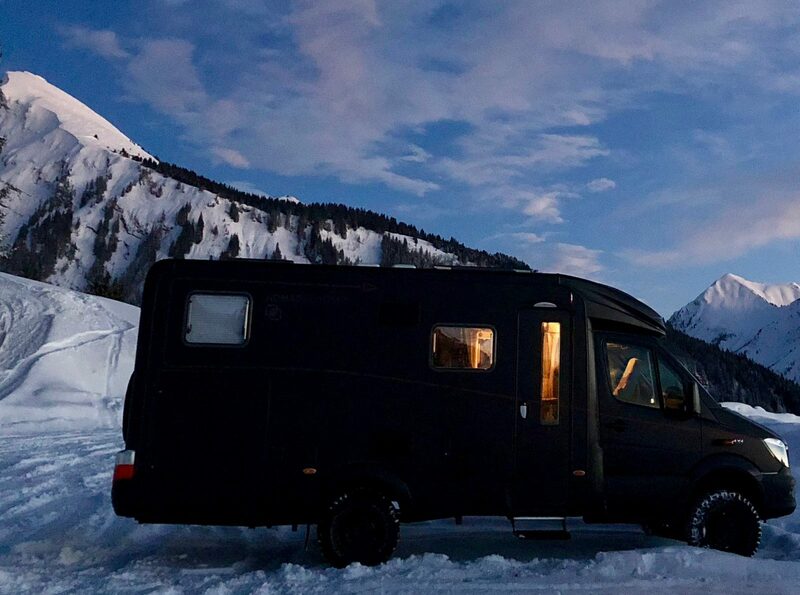 We’ve made new friends of strangers everywhere we have stopped, aspiring motorhome owners and travellers alike wondering where they can purchase the ‘Nomad Explorer’ model of the Hymer motorhome. 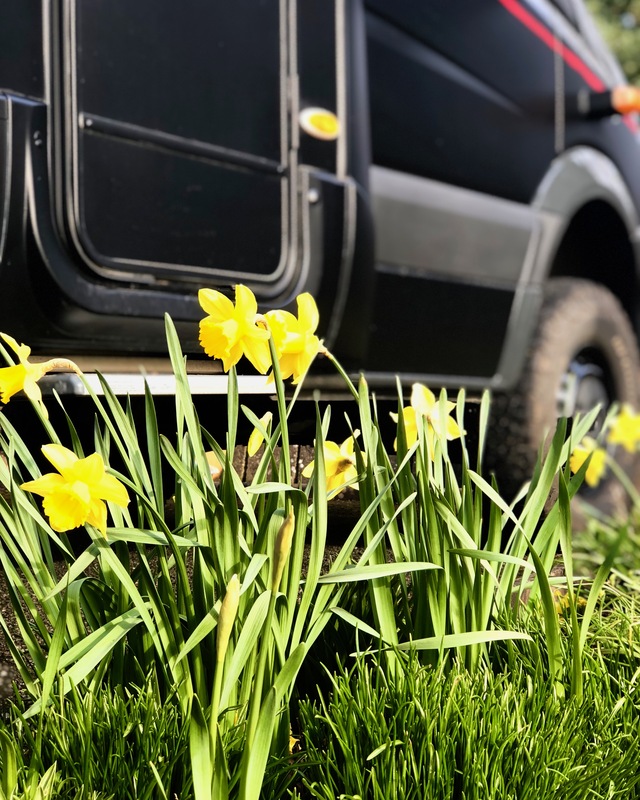 and now as the snow melts and spring flowers start to emerge everywhere, we prepare for our summer adventures in our customised Hymer motorhome.